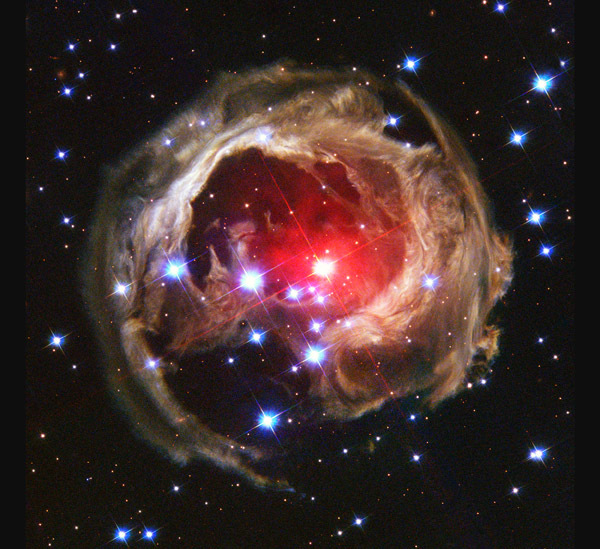 A light echo is light from a stellar explosion echoing off dust surrounding the star that produces enough energy in a brief flash to illuminate surrounding dust. The star presumably ejected the illuminated dust shells in previous outbursts. Light from the latest outburst travels to the dust and then is reflected to Earth.